Looking for HELP? Even blogging super heroes, like yourself, need a hand once in a while. Look no further, because we’ve got you covered! We are thrilled to have you with us, and would like to share with you the easiest ways to access help through our multiple online support systems. Ready to get started? Get this party started by getting acquainted with your account with our Set Up Checklist! Our video tutorials will visually walk you through your new account. 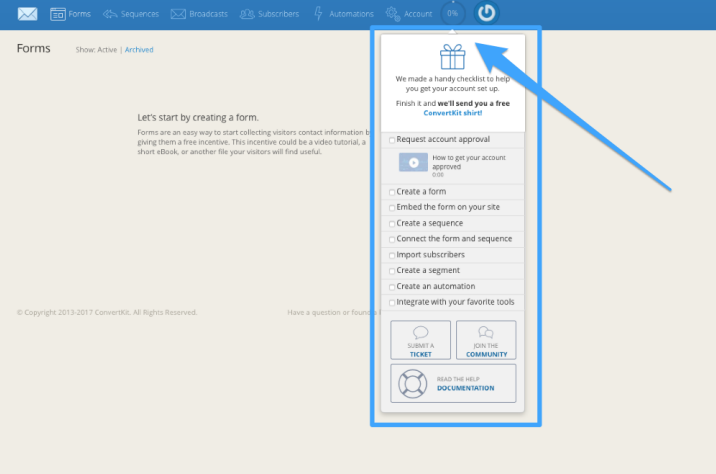 Visit the 0% in the top upper right area of your account for the complete 101 tutorials. In this section, you’ll be able to view videos, read documentation, submit a ticket, join the online Slack Community, and get rewarded with a FREE GIFT. Now for a few ways to stay in touch! We love community, and we want you to be a part of ours! Here are a few ways that you can stay in touch with us, get help with tricky questions, and meet others like yourself, on the journey to earning a living online! Contact us on every page, within your own account, with just a click of a button! Send a direct message into help support, attach a file, and access more tutorials to answer your questions. Your email link is also located on every page, within your own account, to reach us directly! You can also utilize help@convertkit.com or support@convertkit.com. We offer help support 7 days a week / 6am - 6pm. We have a Facebook page, as well as a private group! We offer this online resource to have our customers access more help support, and connect with other community members online. 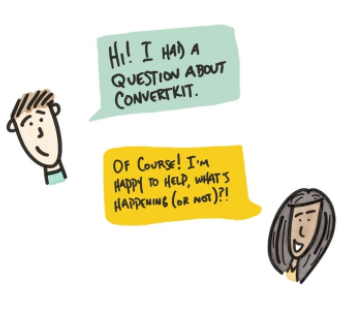 Welcome to the ConvertKit Family! It's also another great place to keep up on upcoming events! Yep, we Tweet! 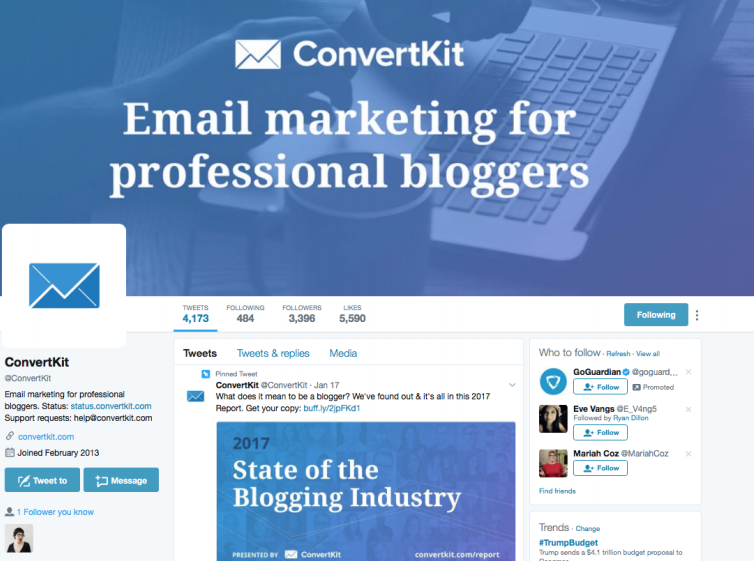 All of our ConvertKit knowledge, in 140 characters, or less. Ask questions, share your knowledge, and tune in to to our knowledgeable ConvertKit tips and tricks! Still have questions? Reach out over live chat!